What is auto focus attribute? According to w3schools.com, the autofocus attribute html5 is a boolean attribute. How it works is when the page loaded, then automatically focus on element. The use of the html5 autofocus attribute is as follows. You need a directive so that the focus function to work properly in angular. Create two components to test the directive script. We need two components to move from one page to another so that directive performance can be seen. 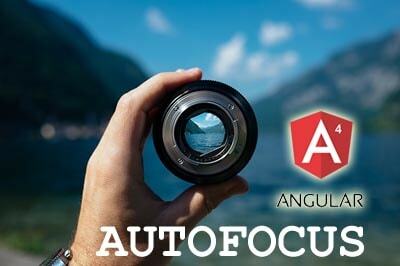 To use autofocus directive angular 4 as good as using autofocus html5. Add the appAutofocus attribute to the input boxes we’ll focus on. Make sure you have import directive on app.module.ts and run the apps. Angular requires @Viewchild decorator to interact with elements in component templates. If you need a complete autofocus directive file, you can download it from the following link. To open the download link, share this article through social media account using the button below. The routing and AutofocusDirective failed!. working perfectly in my project. Whould you show to me the error message?